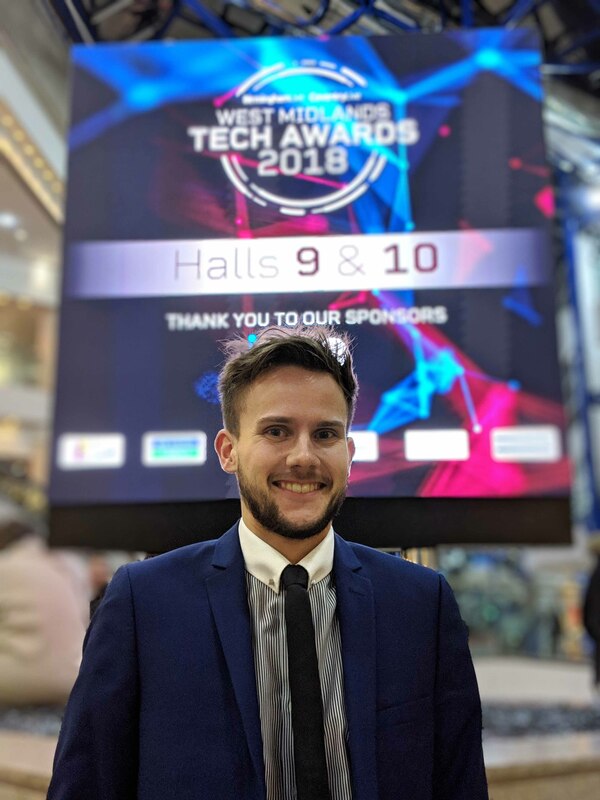 Digital Young Person: Finalist – GuyKat Solutions Ltd.
GuyKat’s Daniel Kirby was named as a finalist for this year’s Digital Young Person of the Year award at the West Midlands Tech awards. Daniel started off at GuyKat as a Digital Media Apprentice but as his time with GuyKat has continue he has progressed from Apprentice to Junior Developer to Developer at a record pace. At the age of 21, he now works in a full professional role creating online interactive training modules that are used by thousands of professionals all over the world. His expertise and international experience match and exceed older graduate peers in this industry. He is a tremendous advert for young people who choose an apprenticeship in the digital creative industries ahead of the University path. The ceremony was held at the ICC in Birmingham on 12th December. We offer our warmest congratulations to all the finalists, and the ultimate winner Chris Meah from the School of Code.